Get away from it all with an amazing two-night mini cruise to Bruges for two adults courtesy of P&O Cruises. You’ll stay in a fabulous balcony cabin for two, where you can relax and enjoy the views at your leisure. The prize includes full-board meals with daily afternoon tea and a range of entertainment on board – this varies depending on the cruise you select. With a choice of seven cruise departures from Southampton and a choice of ships, P&O Cruises mini cruises call at Zeebrugge for trips to Bruges and The Venice of the North, with its pretty market squares, cobbled streets, medieval gables, crisscrossing canals and of course plenty of chocolate shops.Enjoy the echo of horse hooves on the cobbles and the tantalising aroma of waffles as you shop the stylish boutiques, hidden within centuries-old facades. Although Bruges has all the facilities of a modern city – fashionable shops, restaurants and bars – they are well disguised in the historic buildings at the city’s heart. See pocruises.co.uk for more information. For full terms and conditions see candis.co.uk/cruise. WIN this bundle of Back to School books! I haven’t been on a cruise, this would be a great taster to see if I like it. A brilliant prize. A Top Ten prize from a UK Top Ten Magazine; who also donate extremely generously to health charities. Keep up the good work Candis !!!!! What a wonderful way to try cruising if you’ve never been on one before as I haven’t. A superb prize I would just love to experience. WOW NEVER BEEN ON A CRUISE THIS WOULD BE FANTASTIC! This would be fantastic! Yes please!!! Pick me! What a wonderful 30th wedding anniversary present this will make! A cruise would be a wonderful way to relax and unwind after a particularly difficult year up to now as a Carer for my disabled niece, as well as being disabled myself. and to sail away from dementia. Something I have always wanted to do! WOW- we have never been on a cruise and this would be a fantastic way to try one ! What a wonderful prize! Thank you for the chance. I am just finishing my treatment for prostate cancer and without my wife by my side I would have found it much to cope, it would make a wonderful surprise for her. I could do with some luxury! WOULD BE A FANTASTIC BREAK FOR ME AND MY HUSBAND FOLLOWING HIS CANCER TREATMENT. Two nights on board would transform this physical wreck into somebody to be awed! I would love to surprise a friend who never gets a holiday. This would be an amazing introduction to cruising for me and my hubbie! A luxurious and quality short break! I’ve never been on a cruise for pleasure although I have as part of my work in my early teens. 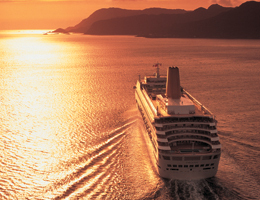 It would be fab to have the chance to experience the relaxing luxury of s cruise. This prize is like a dream come true, once in a lifetime and unforgettable experience. NEVER BEEN ON A CRUISE THIS LOOKS WONDERFUL! It’s a nice short break-perfect! What a fantastic present for my darling husband for our Pearl Wedding anniversary in may.I have always wanted to go on a cruise but would worry as i get claustraphobic.But we will have a balcony so I would give it a go.!!!! !! never cruised before would be great way to dip my toe into the water! fab prize!!!!!! would love this!